The Rosedale on Bloor Condos is a new project by the Easton's Group coming soon to Bloor and Sherbourne. Hot off the heels of the very successful Dundas Square Gardens, the Easton's Group starts the 2015 season off with Rosedale on Bloor. Well situated at 387 Bloor Street East, the Rosedale on Bloor is a short walk to the shopping and restaurants in Yorkville. The Rosedale on Bloor is also steps to the Sherbourne subway station. 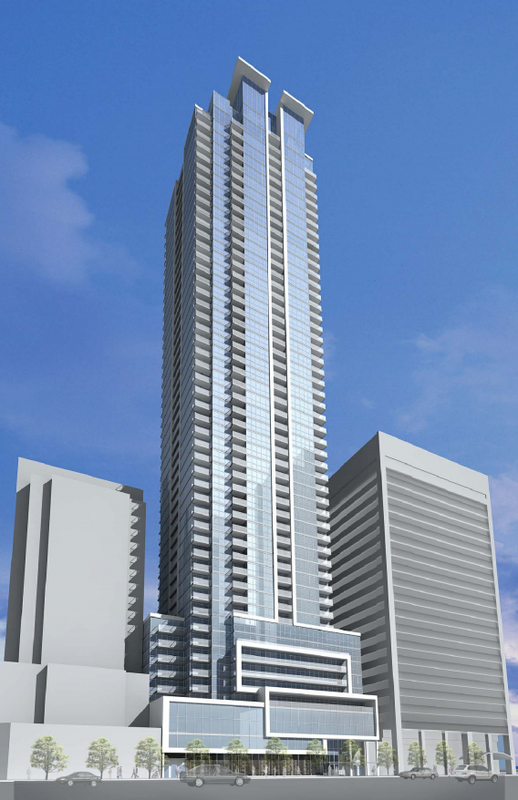 The Rosedale on Bloor will be 52 storeys, with 587 units. The ground floor will connect with a retail space, and other indoor amenities. The outdoor amenity space will also be on this connecting floor. A four level underground parking garage will provide 173 parking spaces for residents. The Rosedale on Bloor promises to be one of the hottest new developments of 2015.